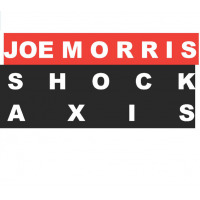 Since taking up the bass in 2000, guitarist Joe Morris has split his recording and performing time between his new upright and his original axe. While growing considerably as a bassist, both as a sideman and leader, Morris maintains a singular approach to the guitar, placing him in the upper echelon of present day improvisers. 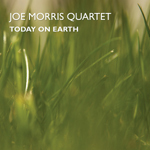 An educator at the New England Conservatory and a ubiquitous presence on the East Coast jazz scene, Today On Earth is Morris' third recording for AUM Fidelity this year, following his appearance on David S. Ware's Shakti and his own bass-led trio record, Wildlife. 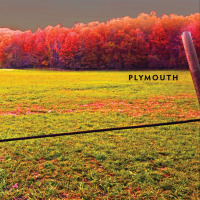 Today On Earth, his quartet's sophomore follow-up to their 2005 Clean Feed debut, Beautiful Existence, documents their seasoned rapport on seven brand new compositions written expressly for this line-up. 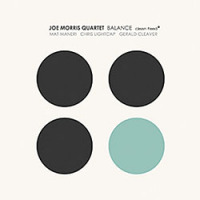 Alternating between brisk, knotty post-bop numbers and languid ballads, Morris' quartet (which features under-rated alto saxophonist Jim Hobbs, bassist Timo Shanko and drummer Luther Gray), expounds on these melodious sketches with a combination of plangent lyricism and rhythmic ingenuity. The veteran team of Shanko and Gray has been Morris' rhythm section of choice since the core trio's first recording together, Age of Everything (Riti, 2002). 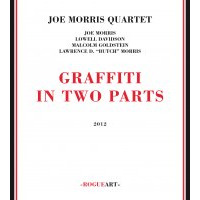 Providing the quartet with a lissome, responsive foundation, their intuitive responses to Morris' sudden angular detours and intervallic leaps are executed with a gracefulness that belies the tunes' underlying complexity. Though they play a primarily supportive role, Shanko's pliant bass meditation on "Observer" and Gray's melodious salvos on "Embarrassment of Riches" demonstrate their nuanced capabilities as sensitive soloists. Splitting front-line duties with Morris, Hobbs makes a perfect foil, careening from Ornettish lilt ("Backbone") to terse, Braxtonian expressionism ("Embarrassment of Riches"). His mercurial phrasing on "Animal" incorporates multiphonics, false fingerings, pitch bends and other extended techniques into an unorthodox, but highly vocalized sense of lyricism. 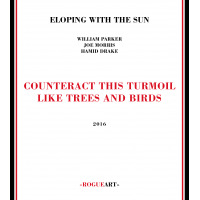 Matching Hobbs' enthusiasm note for note, Morris' quicksilver cadences unveil percolating shards that zigzag between intervals, unfurling pensive lines that ebb with dolorous restraint on more introspective fare like "Animal," "Observer" and "Ashes." A brilliant follow-up to Beautiful Existence, and considerably more accessible than some of his more abstract efforts, Today On Earth is a stellar highlight in an exceptional, eclectic discography. Track Listing: Backbone; Animal; Today on Earth; Observer; Embarrassment of Riches; Ashes; Imaginary Solutions.